Meet our experienced team who are involved in your process from day one, providing unrivalled consultancy and delivering solutions that will exceed your expectations from the start. We have a reputation for providing quality products and excellent customer service. We’re also proud recipients of the Small Firms Association award for Outstanding Small Business. With a background in Electro/Mechanical Engineering, Pat has over 20 year’s experience within the labelling industry. 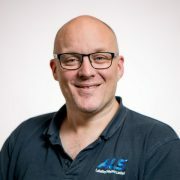 Having joined Avery Labels in 1996 he worked his way up from Junior Service Engineer via Engineering/Design & Sales to the position of Senior Sales Engineer. Pat took over 100% shareholding in ALS Labelling Solutions in 2007 (which was then a subsidiary of Advanced Labelling Systems UK) and since then has grown market share year-on-year to be one of Ireland’s leading suppliers of Labelling & Auto-ID solutions. A ‘dyed in the wool’ GAA supporter and has spent (or some would say wasted !!) alot of his time following his local team (Lacken GAA) around the by-ways of Wicklow for his sins! 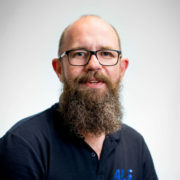 Padraig has worked with ALS since its establishment by ALS UK in 2003. 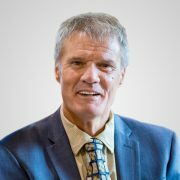 He is a dedicated professional with vast experience in the labelling and coding industry having previously worked for Willet Coding. 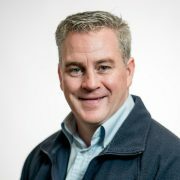 Padraig is a key account manager for ALS with very strong technical knowledge. 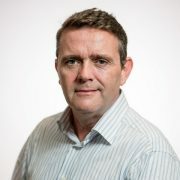 Padraig’s vast experience and attention to detail is available to assist our customers in all aspects of automatic labelling, thermal transfer print technology and Auto ID requirements. A keen DIY enthusiast and gardener, Padraig also has a fondness for the bright lights of Vegas $$$! 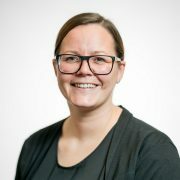 Sara is another long-time member of ALS Labelling Solutions team and being at the nerve centre Sara’s excellent managerial and customer service skills have been crucial for the successful growth of the company since 2007. Sara has also managed somehow in the midst of a busy work and home life to do an Accountancy Diploma which is a measure of her work ethic. An ardent Dublin and Leinster supporter means Sara can get away with just having to learn the one song…“Come on ye boys in Blue”! Jarek, like Pat, came via the Avery route. 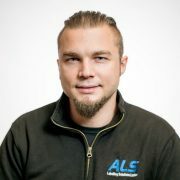 Jarek joined ALS in 2009 and since joining has become an important team player; as well as doing general service work, he is multi-skilled and also works on the design and build of our labelling systems, is our resident PLC expert and also looks after machine and wiring diagrams. Jarek is the ultimate ‘Petrol Head’ and when he’s not driving in the fast lane he can probably be found working out to some heavy metal! Padraic joined ALS in 2015 and fitted seamlessly into his role on the team. Padraic’s previous broad experience working on a wide range of packaging equipment in Tayto as well as precision instruments for Intel, equipped him perfectly with a wide-ranging electro/mechanical skillset. This, combined with a strong software aptitude makes him a highly skilled engineer with an easy-going and affable manner. Another Wicklow man that has suffered for the cause and while he may not look like a ‘geek’ he is awfully fond of his gadgets and a good craft beer! Coming on board in March 2017, Clodagh is one of our newer team members. 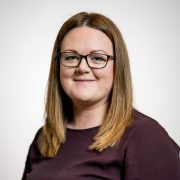 Clodagh has over 10 years experience working in accounts. Her excellent organisational and time management skills are key factors in keeping the accounts department running efficiently. 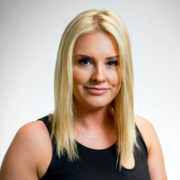 Clodagh’s bright and bubbly personality brings a real buzz to the office. Outside work Clodagh and her family enjoy the outdoors and glamping. With over 40 years’ experience within the Labelling Industry, Frank has forgotten more than most people will ever learn about the “ins and outs” of Labelling. Frank has represented ALS in the Munster region from the start and manages the sales & service requirements of our customers in the greater Cork area. Frank is an accomplished long distance runner and has kept company with some distinguished runners, such as Sonia O’Sullivan & Martina Hickey. When Franks not out annoying the dogs around Carrigaline he’s probably off playing cards or holidaying in Spain. Alma joined ALS in the summer of 2017, her role in ALS has allowed her to develop a wide range of Accounting & administrative skills, and she recently received a diploma in her final ATI exams. Alma is always enthusiastic and conscientious, and with excellent inter-personal skills and Strong numerical skills, she plays an important administrative roll for ALS. Having previously studied makeup & fashion she does like to glam up & is partial to the odd glass of Prosecco! Ger came on board in 2018, he brings with him years of experience in field servicing roles, a strong skill set that includes problem solving, technical support, mechanical capabilities and customer relations to name a few.